Map showing location of Waiariki Pools, Ngawha Springs . Use the controls on the map to zoom in and out. We visited these pools last week. Very simple rustic set up. The man in the office lovely and friendly. Unfortunately the first pool I went into at the back of the complex had a step in that wasn't flush with the back of the pool. My foot slipped in this gap and my lower leg slipped in and was wedged. I fell sideways into the water and was lucky my leg didn't break. Thankfully my husband was with me and helped me get out. I was a bit shocked. Didn't say anything to the the lovely man in the office. We just left. I'm back home in Australia now and my whole leg is badly bruised and sore still. Just a warning to others to take extra care getting into these pools. I moved to NZ from Australia 13years ago, I've been to about every pool on the North Island,and some on the South Island. Ngawha Springs are the best by far.The choice of pools, the variation in temperatures, colours, and aromas is amazing. I moved to Kaikohe 1 year ago so i could go daily to the pools.I never get bored as each days the pools are in a different "mood". Recent renewal of the timber and pathways has made the experience much easier for anyone who is mobility challenged. If you come to Northland and not visit Ngawha then you missed out on an experience of unequaled awesomeness. Great Spot, and amazing value for $4 a head for all of the pools. Can get a bit packed on weekends. Soaked in the 42 degree bulldog and was warm for days! It is a bit "simple" and there are no showers, so if you don't want to smell "Thermal" take that into consideration. I will frequent anytime I am within an hours drive for sure! Very run down, lots of pools but seemed very unsanitary. Left after 15 minutes and couldn't wait to get back to the motel to take a soapy shower. Amazing place to visit in NZ.After speaking to local people I was surprised to know this place has great historical significance. Place lacks Lustre but is very natural. The pool water is heated naturaly with geothermal activities. Temp varies from 36 - 51 degree celcius. I could only go up to 45 degree celcius though. As it gets darker you feel a lot closer to the nature. You need to visit it once at least in your life time. I like to thank Diane for being patient with me in answering all my curiosity driven questions. It was an amazing experience and will definately go back again. This place is amazing. It's been 20 years since I last went here and what a treat to see it is still operating and for only $4! My body felt amazing after the 45minute session, and I slept the best sleep ever that night. I went at 8pm, the moon was shrouded in clouds, there was 1 other person, absolutely nothing like it. It's a good drive from Kerikeri. I would have given it a 10 if there were more road signs. Very calm and relaxing atmosphere. Be warned - the facility looks like it's falling apart and many of the walkways and shelters look like they're falling apart, but the hot pools are wonderful - very low key, uncrowded, and relaxing. Change rooms but no lockers, no showers, but just $4 to soak in one of about 8 different pools. Be prepared for the broken-down look of the place, and for the dark, opaque water, and then enjoy yourself! Wow! If you have aches and pains, wow, if you just wish to relax, ewow, great for skin, great for everything. What a blessing. If i lived there i would be in there everyday and my eczema would be gone and my bones wouldn't ache anymore. What a blessing! thank you! Oh my gosh, like the saying goes "it's not what's on the outside, it's what's on the inside". And this place says it all. Visited there for the 1st time last week, planning to go back in 2 weeks time. Told my children about it and they're planning to visit. Walked in heavy and grumpy, walked out light and fluffy. Had the best sleep ever in such a long time. I highly recommend Ngawha to all, without a doubt. I received so many wonderful happenings, or should I say lost many aches and pains, to comment on all, other than I've got to go back. Thank you to all who continue make this experience happen. 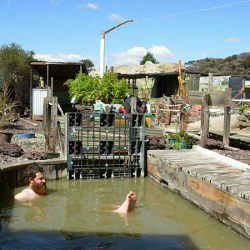 Had a dip last month, a real treasure found in NZ, cost $5 only, but you can sit in the pools the whole day. Amazing thing is you can jump from hot to cold pool then hot again all the time. God is the greatest creator! 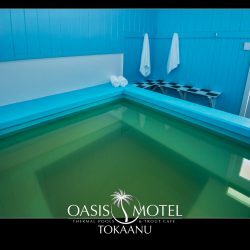 Authentic family run Ngawha, the pools were very rejuvenating, the service outstanding. Not some flash-as to good for the everyday bloke kind of place. 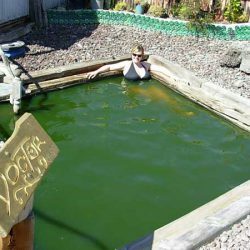 The pools are NOT cemented in, so the mud is available to enjoy the health and wellness properties of direct application. My whole body felt better as soon as I got in, and my knees were awesome for weeks after. Can't say enough about how wonderful the experience was. Well worth the drive from Auckland. Best kept secret in Hot pools. 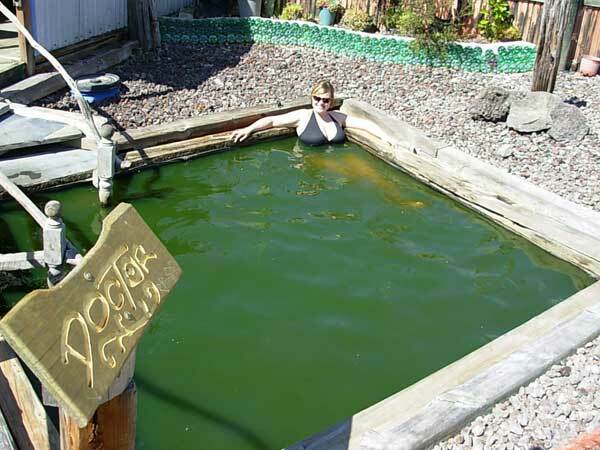 All the hipsters can have Poly-spa... This Ngawha is perfect for people who are looking for genuine health and well-being. Amazing! Don't be put off by the outward appearances. 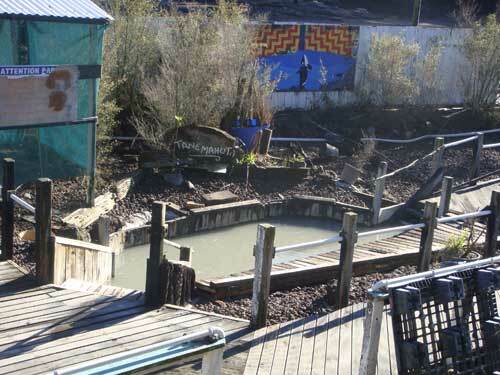 Looks run down but the hot springs are the best I've been to and only $4 entry and it is an authentic kiwi experience. Staff are very helpful and welcoming too. Definitely have to stop by again when I'm up north next time. Magic! This was my second visit and again my arthritis pains have gone. Also, my son's eczema has really improved after using these pools. My favourite thermal pools! Authentic, and real. The price is a total bargin and the people I have met there fantastic, maybe the relaxed and non-commercial nature of the pools has a lot to do with the inclination to be relaxed and real when there. 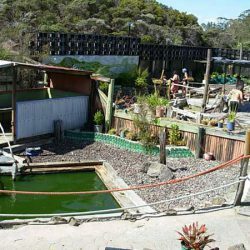 If you are a tourist in Northland from NZ or anywhere in the world GO TO NGAWHA SPRINGS. There were four of us who visited and it was good :) there were many pools you could visit and different temperatures throughout :) For $4 you can't go wrong it's awesome :) you smell afterwards ( as a local in the supernarket after out visit said we "have a unique smell"). But it's sweet as bro. This is my home. Many memories of dips as a child. I've read the posts and love these words used: 'uncommercialised' and 'wholesomely homely'. I recommend Ngawha Springs to one and all because it continues to go untouched by greedy hands and is connected to some of the best things in life. Arohanui, my home. I cleansed myself on every trip north here, then as i left the district, i bathed for over an hour! This place will always hold a place in my heart! We were a bit taken about by the lack of landscaping at first, but as soon as we ventured into the first pool, we fell in love with the rustic and old fashioned charm. We tested several of the pools and after about 2 hours left, feeling happy and relaxed. Thanks so much for an experience we will all remember. Just a little piece of advice - this place is special - don't get put off by the non-touristy looking theme park - it's a natural place where all the locals go. And for $4 each - was "cheap as chips". But I am a kiwi by blood. Met a bloke whom I had heard of who had to be lowered by hoist down to the pool level. Could not walk because of arthritis. He had been recommended to go there by his doctor to heal his bones. when I met him he was walking down. I have read on this page where some could not find a shower. Truth is, for the waters to be most beneficial they take time. Is best not to shower for a day or two after a good soaking. Large selection of pools with varying temperatures including some cool ones for in the summer, well maintained and very authentic. We had a relaxing day there for only $4 each! The only thing is that there are no showers so we drove back to Auckland smelling of sulphur. Will definitely go back. Called in after a bike ride, old world charm, extremely helpful and friendly lady on office. Talking to the locals whilst soaking about the history, their stories and the hints on which pool is best for what was priceless. Highly recommended for the real deal feel. This was surprisingly good, was a bit shocked initially at how run down it was, but then I was struck by how cheap it was $10 for all 3 of us, and the frendlieness of the woman there, she was very hospitable and went out of her way explaining the place to every visitor (Including telling them to stay out of Bulldog as it was 52 degrees that day). The pools are a great mix, nearly 20 in all and they are totally natural and refreshing. I would definitely come back. Just a couple of minor gripes, one being the mens bathroom have a few holes in the floor and some parts of the complex have steps that crush on the edge and the path between the two parts may be harsh on unshod feet. But still at $4 a piece this is an undiscovered gem waiting for you. 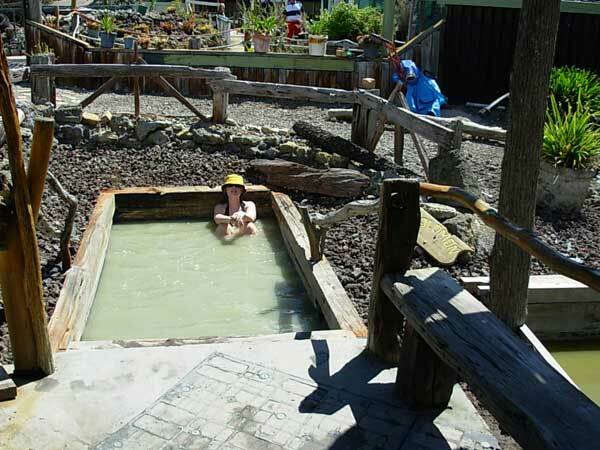 However if you just want artificial commercial luxury stay at Waiwera, but for those purists this is almost how Maori bathed in the days before Europeans. It has great pools (Something for everyone including two heavenly cool pools - 24 degrees) and several very hot ones, but the bulk are 36 -40 degrees and like the host said, you should start in Tane Mahuta as this pool is the largest and its got the best temperature. Do be wary of the storage, as the shed had bird poop on the floor and best to waer jandals and take them around the complex with you. 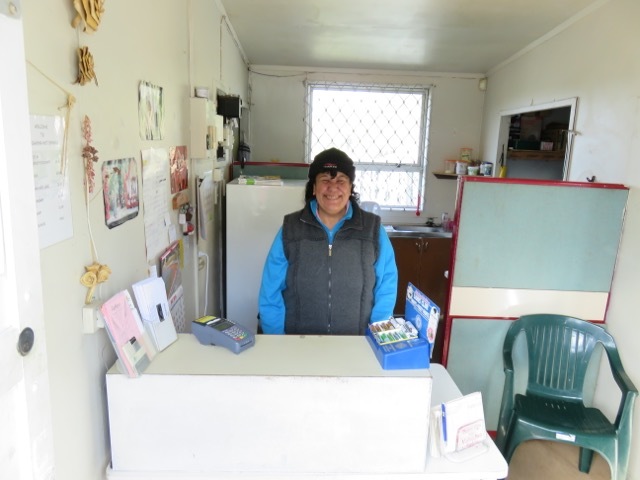 The very friendly kuia up the front will mind keys, money etc for you. Bring your own grub. But prepare for one of the most value for money and true kiwi experiences there is. 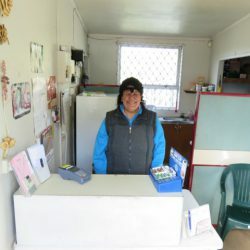 I think you should go here as well as its a local Maori enterprise and shows us all the positive and real side of Maoridom. A privilege to join the local community and other visitors in these wonderful pools. Many thanks to everyone for the warm welcome and chat while we soaked in 'Tane Mahuta' and 'Doctor' and all the other pools. Not 'Bulldog' though. At this hotsprings there are even springs coming up in the car park! Totally awsum healing time had... Recommended. What a wonderful magical place, best visited at night. Just to soak up the natural goodness under starlight in the company of friends was a tonic. Hope it stays simple and uncommercialised. Thanks for sharing with a "pommie"
This place was actually a horrific experience! It was dirty, smelly and just plain gross. The change rooms were nasty and the pools so dirty and smelly we stayed for about one minute and fled. These pools were the highlight of my recent visit to NZ. 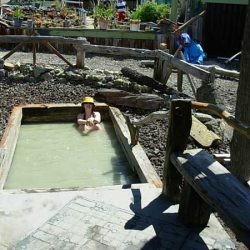 I am glad we went AFTER being to the Polynesian Spa in Rotorua -- the Polynesian Spa was great, but the hot springs in Ngawha were out of this world! Met some great local folks in the baths who filled us in on the history, and were just generally wonderful. Whanau used to take me to Ngawha when I was a child. This place has been in my viens ever since. Now when I go home to the Hokianga, I go to Ngawha with my Aussie born Whanau. Now this place is in their viens. Kia ora. I have fantastic memories of these pools from a few years back. The main one is of the smell which permeated all the clothes in my bag for weeks to come. Loved it and long to return. 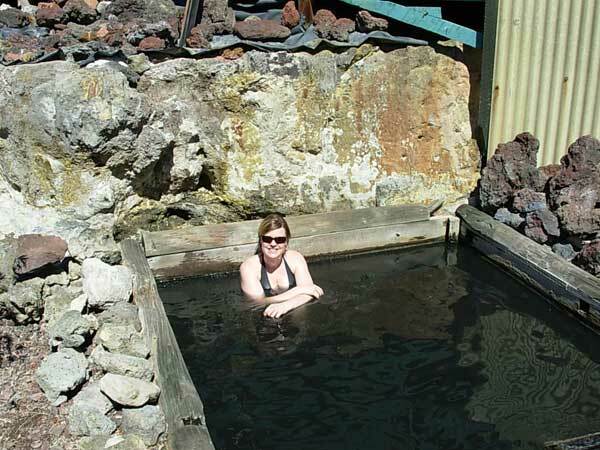 I couldnt have got through my last trimester, being pregnent without ngawha pools. Favourite is the one for hapu women. I love it. Went there as often as i cld at dark time under the stars. Would get a better sleep, relax me an baby and no more aches. Works like magic! Must try it.. Awesome to take the whanau for a relaxing, healing soak up. Our whanau love it. The white mud works wonders on your skin, leaving your skin soft an shiny! Smells abit, but knowing that its a natural earth smell, it dosnt bother me. My 5yr old and 1yr old sons love it too. Highly recomend to all pregnent women. Aches an pains, grumpy moods, cant sleep, cramps- have a soak up at ngawha pools and i promise u will feel much better afterwards. Fantastic and great for the whole whanau. Better to swim jst goin on dark, closes at 9pm. Under the stars, in the rain. Lovely! 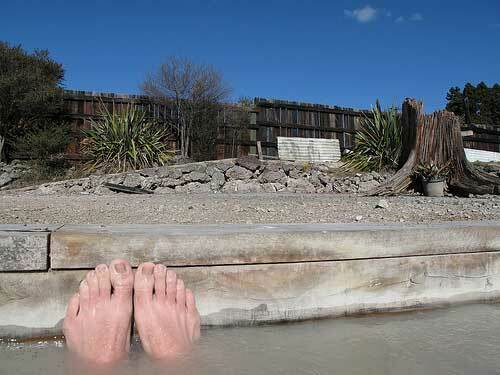 I've been to thermal baths all over the world and all over NZ. These are way up there with the best! Amazing and a must visit in Northland! Still as relaxing as ever almost completely unchanged from my memories of the place when i went there as a child 20+ years ago , Friendly staff and great value only $4 an adult. facilitys very basic but clean. 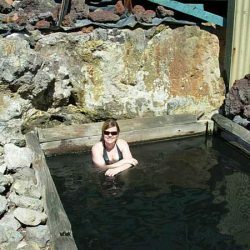 I've had the absolute privilege of experiencing the healing waters of Ngawha Springs twice now (2009) - both in Winter and Spring...both times were wonderful - the people you meet, locals and tourists really make it a friendly and welcoming place to relax and be oneself. I give this a 9/10 solely because there are no cold water showers to rinse off immediately after, otherwise AMAZINGLY FANTASTIC. Without a doubt I'm coming back 2010 - with more of my Samoan friends! awesome pools for a day out the thermal pools are sooo cool my kids didnt like the smell much! but it took them longer to get out than it did to get in!!! What a wonderful way to spend a Sunday afternoon. Sister and I decided to take our mother and aunties for a day out at the pools. Sooo relaxing, we all did not want to leave. 2 year old daughter thoroughly enjoyed it too. I thought the pools may have been to hot for her, but the baby and solomon were ideal. She did not want to leave. (Had to bribe her with food so she would get out.) Only got an 8 because my daughter slipped on the wet concrete by solomon pool and tripped and fell on the uneven surface of the carpark. Also witnessed an adult trip and fall in the same area. Ended the day by having a picnic in the carpark. Will return again very soon and perhaps arrive a lot earlier to take advantage of a full days soak. Rheumatoid Arthritis, skin fungal problems (tinea etc) recurrent eye infections all respond well to soaking in the pools. Wish I could stay longer to get full benefit. Ngawha springs is epic. 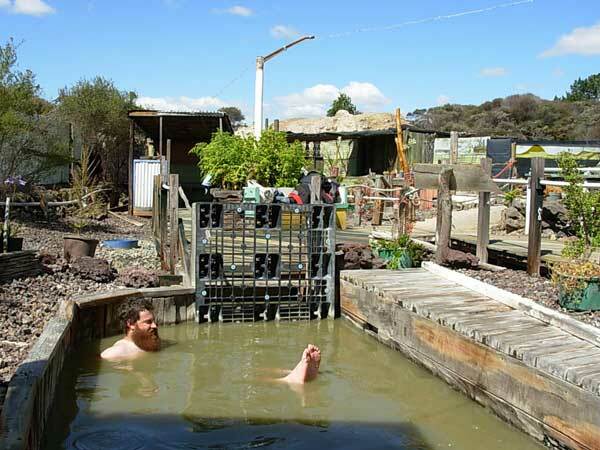 Just a word of warning following on from Allan Bacon's comments, drinking the water at Ngawha is a bit risky. I think the black of the bulldog is caused by arsenic, no problem to sit in but probably could make you ill to drink. How wonderfull to return to Ngawha today and see it still origional. My Parents met there in the 1920's and we went back there as a family many times.Today was a special day for me to be there and I am happy there is still a part of Northland unsopilt by Being comercialised..Step back in time as i did (over 50yrs since i went there )and see it for yourself..
the most enjoyable jacuzzi ive ever had. did wonders for my skin and overall health.thoroughly invigorating leaves you feeling warm all over from the inside out. did wonders for my aches and pains and peace of mind. excellent for artheritis and rhuematics..would recommend a day at the pools when the weather is overcast and light drizzle, this is an awesome time for a bathe..however have been a part of the hole in the wall gang one night there at 2am which i highly recommend as the best time to go batheing..ha ha..save ngawha eva teiwa. The mud cured my Psoriasis - if you smooth it all over your body and leave on for as long as possible - ie overnight, then rinse off, it should disappear. 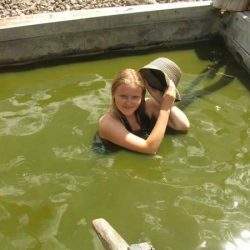 It's good to go in summer as the most effective pools are the cooler ones, then let the sun dry the mud. It would be a bit chilly doing it in winter time. 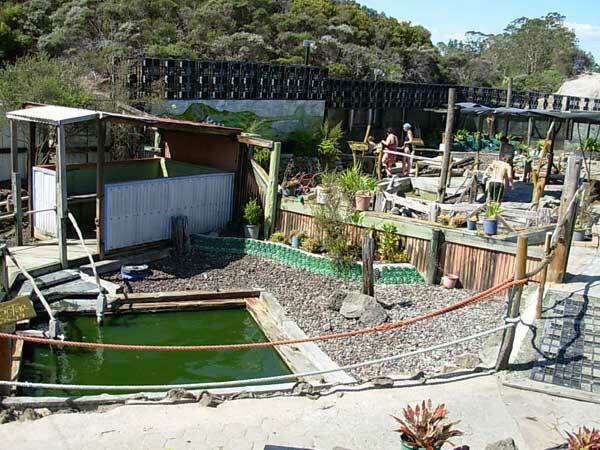 The First time i went to Ngawha, that was the first place my Nan took me to was the Ngawha Springs, as she is a local from there(Bertha Railey). 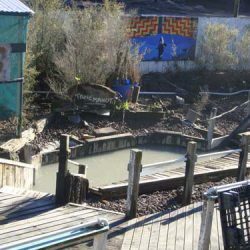 It was the bestest thing ever was to see pure clay-mud springs. I talked about it for ages which turned into years, now that i am a mother i can't wait to take my own children there. I went many years ago, and the pools were amazing. I know it's gross to talk about, but I had a skin condition that I'd had since I was a kid and treated with all sorts of ointments. One dip in a more lethal looking pool and a few days later it was gone forever! Fantastic, great mud/sand wetness, hot, soothing and extremely relaxing. An out of the ark visit by all tourists. Ngawha springs is a great place for healing. me and my family go there as much as we can. Whenever a family member isnt feeling well or if there just plain ole sore, we go to Ngawha springs to soak up the menirals and all that good stuff. Its a great place and the people are awesome, most customers are locals from around the north, so they all pretty much know each other. Its great. Just beutiful. And the improvements that have been done to the place (garden's etc) just top it all off. Its cool. NZ's best kept secret, Ngawha Springs. I met one bloke walking down to the Bulldog, 3 months after his initial 'dip' when they had to lower him into the pool from up top, because he was unable to walk down. He attributed his progress to the healing properties of the waters. There are 8 pools, each with a different, but natural, chemical makeup. Each of these pools is reputed to have a seperate healing function. Two gents I heard of went there first thing in the morning to drink the waters of one pool, that was reputed to have waters good for the eyesight. I do not know how true the claim is, but these blokes could still see better than most. They are in their late 80's and early 90's. Personally, I just enjoyed soaking in the waters as they were most relaxing. Lovely pools, charming atmosphere and hosts (it was a quiet day so they invited us to join their BBQ lunch). Would get a 10 but for the lack of showers. It was a hot day and there are shelters but not over the pools. One of the hosts kindly offered an umbrella so we wouldn't get sunburnt. A highlight and a bargain for the $5 entry fee. I love Ngawha springs. I sincerely hope that it never suffers from commercialisation or development as it is delightful and wholesomely homey just as it is. A more detailed map would be appericated. Great pools of different heats and composition. Like a pioneer outpost but welcoming people and basic facilities. Some pools are ridiculously hot but at least half of the 8 pools are glorious. There are specific healing qualities atributted to paticular pools. The murkiest and most unforgiving should be used to bathe the eyes and face, this knowledge from the local pensioners club who bathe regualrly, if not daily, and who are great company! Source: Friendly service with a smile! Loved these pools.